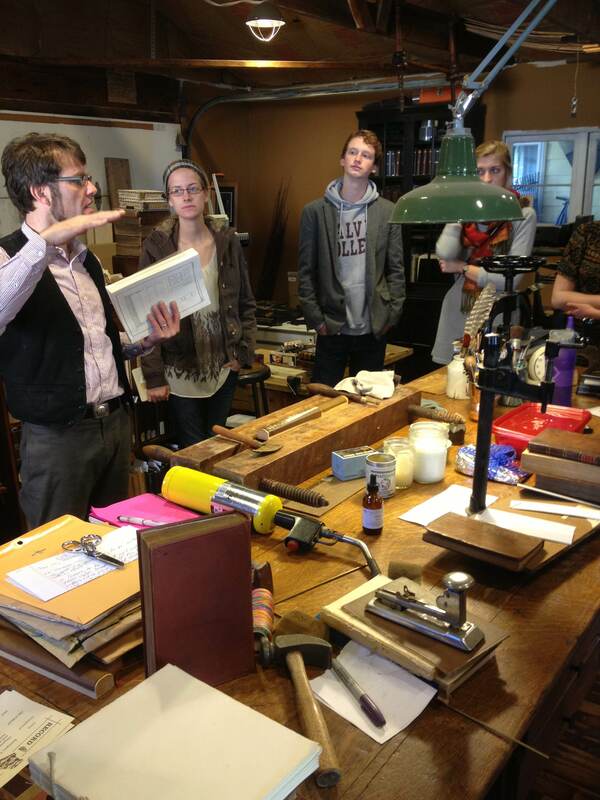 Over interim, Professor Greidanus guided eleven students through their exploration of bookbinding traditions. Results from the class ranged from pamphlets, to stab-bound, to kodex, to accordion-fold books. Students walked away from the class not only learning different methods of constructing a book but have gained appreciation for understanding books as objects. 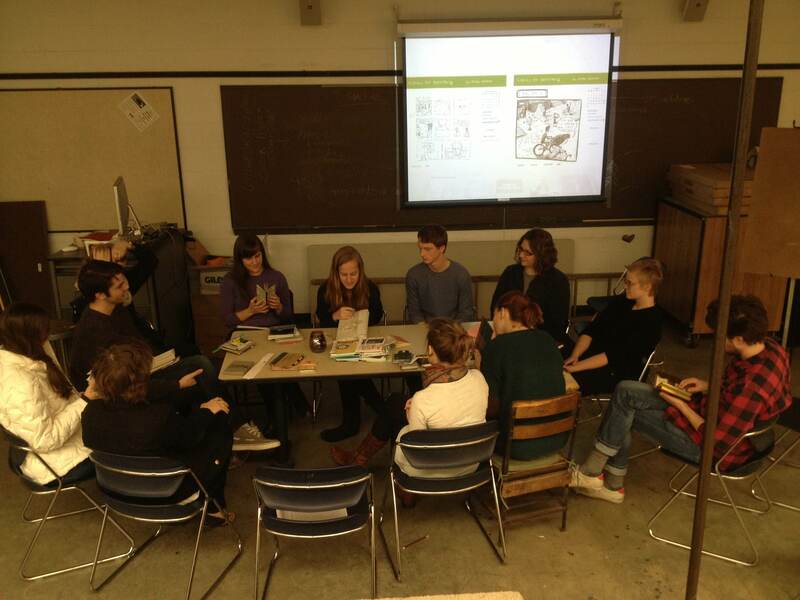 The class was given the great privilege of being welcomed by Vernon Wiering into his personal studio and by Paul Fields into Calvin’s Meeter Center. There will be a show opening on the evening of February 22 at the 106 gallery. Titled ‘EX LIBRIS : W – Eighty’, each student will be displaying a select few of his or her creations. The opening reception, and potluck, is sponsored by the Art Department as well as the Visual Arts Guild, who would like to extend an invitation to all who are interested! The reception will take place from 5:00 – 9:00PM. This entry was posted in (106), Books, Education, Exhibition, Uncategorized. Bookmark the permalink.